How Can You Find Out Additional Information Regarding the ADA? The Department of Justice provides information about the Americans with Disabilities Act (ADA) through a toll-free ADA Information Line. This service permits businesses, state and local governments, or others to call and ask questions about general or specific ADA requirements including questions about the ADA Standards for Accessible Design. ADA Specialists are available Monday through Friday from 9:30 a.m. until 5:30 p.m. (Eastern Time) except on Thursday when the hours are 12:30 p.m. until 5:30 p.m. Spanish language service is also available. For general ADA information, answers to specific technical questions, free ADA materials, or information about filing a complaint, call: (800) 514-0301 (voice) or (800) 514-0383 (TTY). 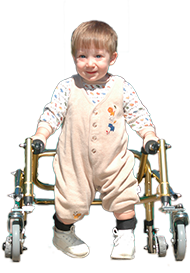 The U.S. Department of Justice publication “Commonly Asked Questions about Child Care and the Americans with Disabilities Act” is online at https://www.ada.gov/learnada.htm. The Americans with Disabilities Act (ADA) is a law that protects people from discrimination based on disability. This law says that public accommodations must be accessible to people with disabilities. Privately-run child care centers and family day care homes are considered public accommodations and must comply with the ADA. In order to serve children with disabilities, the ADA requires child care providers to make reasonable modifications required to accommodate children with disabilities. This means making changes that are accomplished without excessive difficulty or expense. Be clear about rules and expectations. Provide logical and natural consequences that relate directly to a child’s specific actions. Try different ways to communicate. When you are getting ready to read to the group, show a photo of children sitting together for story time, or use a picture of the outdoors to let children know that the group is going outside. Give positive attention to children when they try new activities, play well with others, show creativity, or make progress in learning new concepts and skills. Take time to build a relationship with each child in your care.